Nine percent of all American children, mostly boys are labeled with the "mental disorder" ADHD which is often diagnosed solely on a checklist of behaviors. Yet these children, are prescribed psychiatric drugs that increase heart beat, blood pressure and interfere with sleep and nutrition. In fact, Chinese children continue to have better control of their behavior and outperform American children in school, yet do not take Psychotropic medications like Adderall. I have spoke to many parents, who have complained to me about the side effects of ADHD drugs their child was taking, as a parent and in my role as a school psychologist. While I was talking with some other parents, at my son's school, about my concerns about the side effects of ADHD medications, I soon found that 7 out of eleven boys in my son's classroom were taking ADHD medication. Since then, I have met with many other parents, whose children had been placed on ADHD medications and were now telling me that their child would begin on a very small dose and soon graduate to as higher and higher dose, while whatever gains that were made in the beginning were soon lost. These Children were now ending up on a whole cocktail of psychotropic medications, while their behavior and grades continued to deteriorate. At the time, I was in fact working as a school psychologist in Lawrence Public Schools, where I was asked to intervine in the case of a very hyperactive boy in the fourth grade, who was taking a very high dose of Ritalin, yet he was constantly out of his seat and out of control. The drug appeared to be having not effect whatsoever on this boy's behavior. After speaking with his pediatrician the boy was actually taken off his stimulant medication. Instead, we began a comprehensive behavior program, along with accommodations. He did very well in a different school with a smaller setting along with the individualized help that he needed. By the following year, during followup, it was like I was looking at a completely different child. Ann Hohmann's son Matthew was not so fortunate. He dropped dead on the bathroom floor, after being on Adderall XR 20 mg for 29 doses. His mother appeared on Good Morning America to tell what happened to her son. I found out about Ann Hohman's story when she contacted me after visiting this website. I have also spoken with parent after parent, who complained about the side effects that their child was experiencing, leading me to beleive that the many of the side effects go unreported to the FDA, as doctors are not required to report side effects to the FDA. In most instances, when a child dies from taking the medication, as part of the monitary settlement by the phamacutical companies for compensation, the parents are forbidden under court order to discuss the case. It is very difficult if not impossble to prove that a child dropping dead on a football field actually died from the "stimulant medication" he was taking. The phamacutial companies are armed with the best lawyers money can buy. His mother appeared on Good Morning America to tell what happened to her son. A study area with reduced stimuli and traffic should be placed in the room and available for use by all the students, not just the child who presents with inattention. Close attention to schedules and routines should be given so that the fluctuation in energy presented by the child can be accommodated. For instance, it would be unwise to spend too much time in low energy activities. A mixture of low and high-energy activities would be more desirable. Activities, though, should generally be stimulating, interesting and meaningful and involve a lot of hands-on projects vs. seat and board work or lecture. The home environment can also be structured to provide optimum support to the child with issues of inattention. Family and household rules should be carefully thought out. Homework and routines may need to be modified to help the child make it it successfully through the day. Predictable routines often help structure time for the child who presents with inattention. A quiet, organized study area, free of distractions, is of clear benefit. Setting times and routines for study and review is a good idea. The child's family responsibilities should be well defined and it may be necessary to break chores into simple tasks that gradually become more complex. Plans should be reviewed with the child and they should be prepared for any out of the ordinary changes to routine. Directions need to be given clearly, concisely and through multiple channels. For instance, the teacher should clearly state the directions as well as have written directions or a pictorial list of directions available. Complex directions need to be simplified. Teachers should patiently repeat directions if this is necessary. Make sure the student understands the directions before proceeding to the task. Ask them to repeat the directions back. The teacher can help the child who presents with inattention and focus feel comfortable asking for assistance. One way to do so it to institute a classroom wide method that all students can use rather than singling out the child with who is inattentive. Develop and discuss with the student private cues that can be used when the student gets off task. 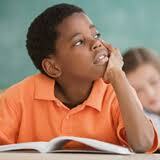 For instance, the teacher can quietly touch the student's arm to remind him/her to refocus on the task. the teacher should assist in providing a record of assignments to go home with the student. Assignments may need broken into smaller segments or steps to complete vs. an entire project. Make sure that the assignment is actually one that the student has the capacity to perform. Some assignments may need to be further modified or adapted for the student. Students who present with issues of attention and may need extended time to complete tests. Once more, be sure that test directions are understood and that the child is capable of what is being asked of him/her. Some children may need modifications in the way a test is delivered. For instance, the test perhaps should be given orally or perhaps the student can respond orally instead of in writing. Unique and individual needs should be considered at all times. Students who present with inattention can often participate in planning for improvements in their own behavior, thus allowing them to hopefully experience more ownership for change and also pride in accomplishing improvements. First students need to be aware of the problem behaviors and the control they can exhibit to improve the situation. Intermittent reinforcement is by far the most effective. If the child get to know when the rewards are coming, they will only behave when they know there will be a reward. When a child is being rude such as using sarcastic remarks this does meant that they are have problems sitting still or oppositional defiant behavior. It mean more like they are seeking attention negatively. Positive Behavioral Support Approach is different than traditional "behavior modification". One key reason for the difference is that with Positive Behavioral Support we ask the question, "why?" Why is the child's work so sloppy? Why is the child seemingly never in his seat? Why is this child having problems making friends? The adults in the situation observe the behaviors and observe the child in numerous settings in order to develop ideas on the function that the behavior is serving for the child, which is why having a special education evaluation or an independent special education evaluation is so important. Positive Behavioral Support has a focus on changing the environment and responses in order to enhance a child's experience of feeling successful and teaching important skills that reduce the function of the problem behavior. Positive Behavioral Support is not one approach focused solely on reducing a problem behavior, rather, it garners a collective team vision and collaboration, creating a multifaceted approach to improve the circumstances for the child, their school and community. Positive Behavioral Support was initially developed as an alternative to aversive procedures for those with the most severe and extreme behavioral challenges. However, more recently, it has been used successfully with a wide range of students and contexts and has been extended to apply to entire school environments, not just individuals. Positive Behavioral Supports should include Complete a school or an Independent functional assessment. This is a structured method of gathering and testing information about the function that the behavior may have in the individuals' life. Many children with focusing issues will benefit from opportunities throughout their day to be involved in movement activities. The environment should support appropriate movement. For instance, in classrooms students can be given physical chores. Teachers can assign active projects that allow a student to change seating frequently. Hands-on, constructional projects and manipulatives can be used. Running, biking, basketball, Soccer, Wrestling Judo and Kun Fu are all activities that are of clear benefit to a child who presents with ADHD. 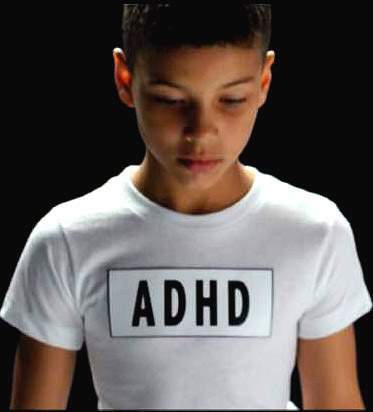 Children who have taken ADHD drugs need to see their heath care provider for a through physical exam and an electrocardiogram before taking an ADHD drug. 1. Vestibular: The vestibular system refers to structures of the inner ear that give the brain information about body position and movement. The vestibular sense is very important to one's sense of balance and gravitational security. Children with vestibular dysfunction may be fearful of movement and thus avoid it, appearing clumsy and apprehensive to engage in movement activities that other children delight in. Conversely, other children have a hypo-reactive vestibular system and seem to crave excessive jumping, spinning, whirling, etc. 2. Proprioceptive: The proprioceptive system refers to information provided from the joints, muscles, and tendons to the brain that tells us where our body is in relation to other objects. Our proprioception gives us knowledge about our body position. Children with proprioceptive problems may have difficulty knowing where their body is in space and may appear clumsy, falling into things, losing balance, knocking things over or appearing not to perceive personal boundaries. These children may do poorly with fine motor control necessary for writing, drawing, and manipulating small objects with their hands. 3. Tactile: Includes nerve endings under the skin that send information to the brain. This includes information about light touch, pressure, pain and temperature. Tactile information plays an important role in our perception of the environment. A tactile system that is dysfunctional may lead to a misperception of touch and/or pain and may lead to self-imposed isolation, irritability, distractibility, and hyperactivity. 4. Praxis: Praxis is the ability to plan and execute skilled movement and is often called motor planning. The ability to organize and use sensory information is critical to efficient motor planning. Help the student envision a positive future and a career in which their talents and abilities will be needed and desired. Encourage participation and cooperative groupings instead of a focus on winning or losing. Help the child to understand their learning differences and the affect of lives. Sometimes children assume that the reason they have difficulty is that they are "dumb" or "stupid" or "bad". They need adults to help them understand so that they need not blame themselves or think less of themselves as people.